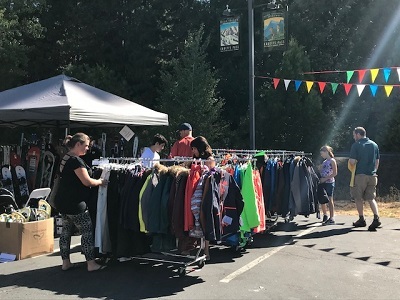 Bear Valley Ski Club – More than just a Ski Club! Our Ski Club is based at Bear Valley Mountain Resort located in the scenic Central Sierra Mountains in California. The Ski Club was formed in 1966 by the developers of the Bear Valley/Mt. Reba Ski Area, and is a downhill, snowboard, and cross-country ski club with year round activities for members and their families. New one hour hosted well cocktails & appetizers! Our Ski Club’s Annual Winter Dinner Dance is on Saturday January 19, 2019 at Sequoia Woods Country Club in Arnold. RSVP and payment are due no later than January 7th. Social Hour starts at 5:30PM in the Club Lounge with a hosted bar with well drinks, table wine, and beer, plus assorted appetizers. Dinner starts at 6:30PM in the upstairs Ponderosa Room with delicious entrees, salad, and dessert. Then dance the night away from 7:30PM – 11:00PM in the Club Lounge with the popular Hwy 4 Sound Productions DJs. Mail your reservation form in soon as this fun event sometimes sells out! Our Club’s Annual Ski Trip in February 2019 is to Sun Valley Ski Resort in Idaho! Sun Valley Resort is a destination resort offering multiple winter activities for all, including non-skiers! Our hotel is in downtown Ketchum with shuttle service to the ski areas and around town. And a big plus is that we are flying directly into the local airport — no long bus ride to the resort! Looking forward to another great ski trip with the Bear Valley Ski Club! Bear Valley Snowsports Foundation runs the NASTAR recreational race program at Bear Valley. Races at Bear Valley are $10 for two runs or $15 for unlimited runs per day. Season passes good for unlimited runs all season are $99, and members of Bear Valley Ski Club are eligible for a 20% discounted NASTAR season race pass for $79. Sign up at the NASTAR kiosk in the Sunroom at Bear Vallley. Thank you, BVSF! Come and join us! 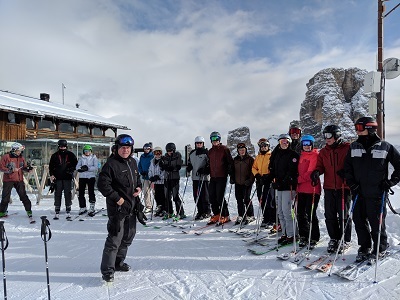 We’re more than just a Ski Club!